Date: Wednesday, 7th November 1973. Venue: Easter Road, Leith, Edinburgh. 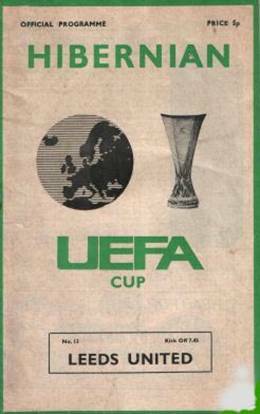 Competition: UEFA Cup, Second Round, Second Leg. Score: Hibernian 0 Leeds United 0 (a.e.t, 4-5 penalties). Scorers: Hibernian: Nil. Leeds United: Nil. 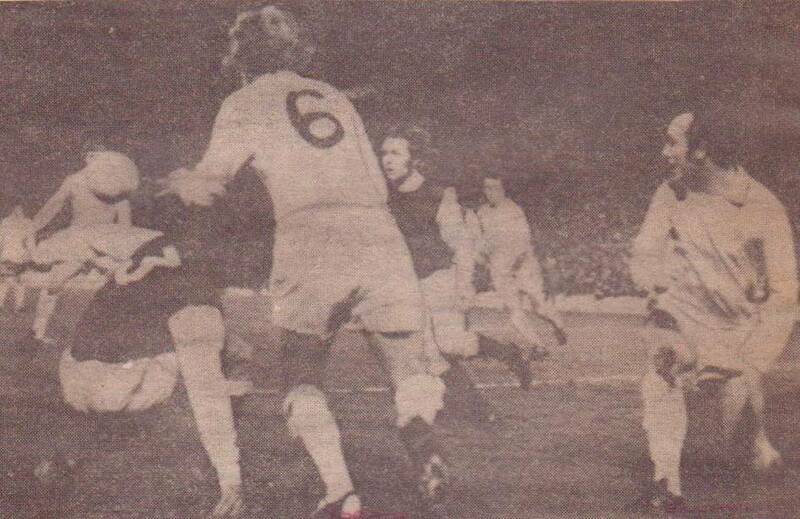 Hibernian: Arthur; Bremner, Schaedler; Stanton, Black, Blackley; Edwards, Higgins (Hazel), Gordon, Cropley, Duncan. 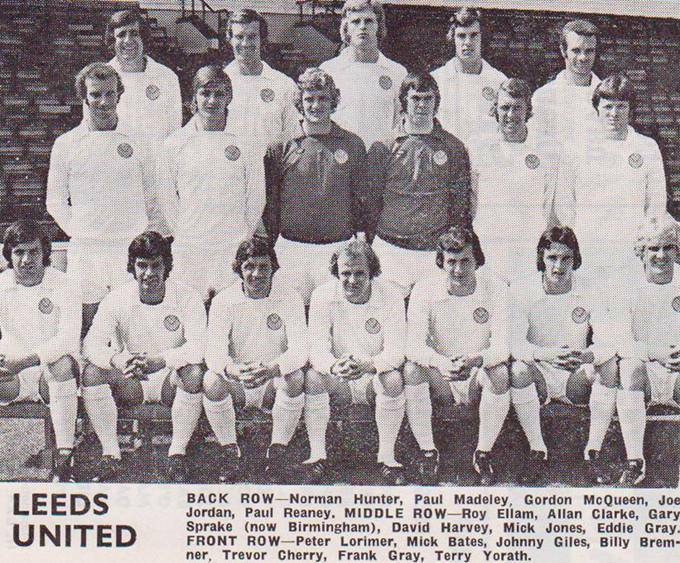 Leeds United: Shaw (Letheran); Reaney, Cherry; Bremner, Ellam, Yorath; Lorimer, Clarke, Jordan, Bates, F. Gray. 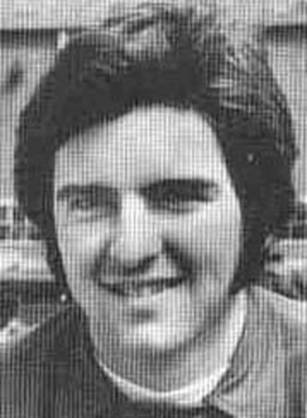 Because of a goalkeeping crisis Leeds were forced to play nineteen-year-old John Shaw, whose only previous first team appearance had been in the 1971-72 UEFA First Round disaster against Lierse SK when he was substituted at half-time after conceding three goals. Against Hibernian he was injured just before half-time, breaking two fingers in his right hand, and had to be substituted by Welsh Youth international Glan Letheran. 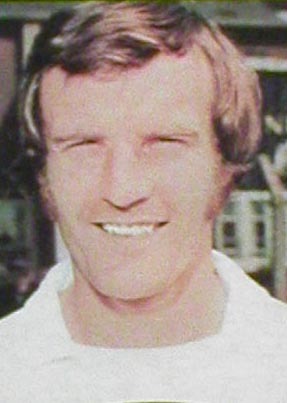 It was a little strange when the United team for the following Saturday contained David Harvey, Paul Madeley, Gordon McQueen, Norman Hunter and Mick Jones, none of whom took the pitch at Easter Road. It gave Roy Ellam, the two keepers, Joe Jordan and Frank Gray further first team and European experience but somehow one got the impression that Leeds were not over-intent on winning. The game finished 0-0 after extra-time and United went into a penalty shoot-out with a rookie goalkeeper between the posts. 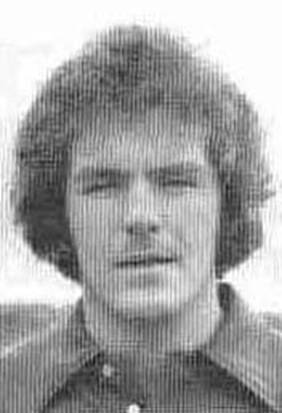 United won the penalty drama after Hibs’ skipper Pat Stanton drove his first kick into a post. The extra-ordinary game finished with Hibernian accusing Les Cocker and Don Revie of coaching during the shoot-out and reported the matter to UEFA, who fined Leeds £400 and banned Revie from acting in an official capacity against Vitoria Setubal in the first leg of the next round. 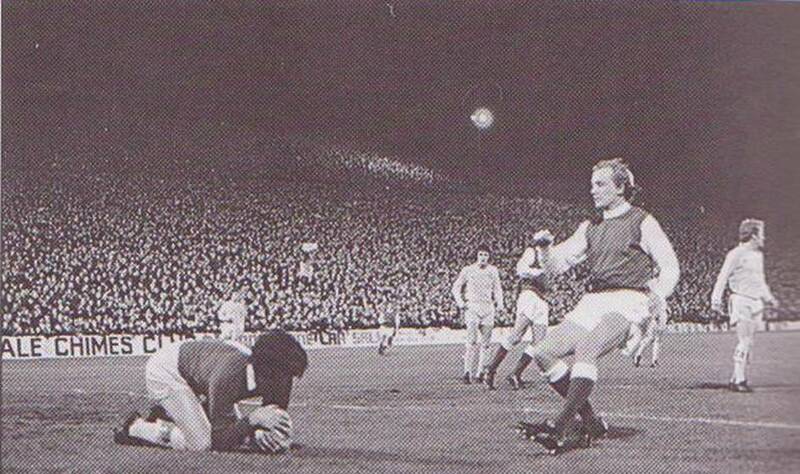 Teenage goalkeepers Glan Letheran and John Shaw became overnight sensations for United in a drama-packed night at Easter Road. 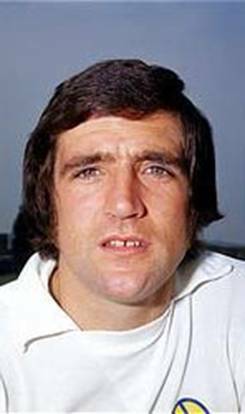 With Gary Sprake severing his long and distinguished association with Leeds by joining Birmingham City in a £100,000 deal, Don Revie had bought Ayr United goalkeeper David Stewart as backup for first choice David Harvey. 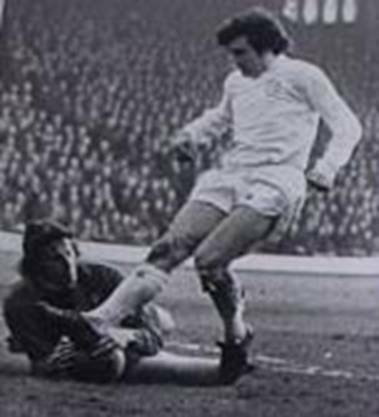 However Harvey was carrying a knee injury and was unable to play at Easter Road, while David Stewart had not been a Leeds player long enough to play in the match under UEFA Rules. On the evidence of the First Leg, United went into the game as rare underdogs but their dogged determination got them through on an extra-ordinary night. Anticipating a torrid evening, Revie played inspirational skipper Billy Bremner as sweeper ahead of his rookie goalkeeper and it proved a masterstroke. John Shaw’s confidence soared after ten minutes when he made a brilliant save from John Blackley, but Leeds, playing in all-yellow, almost broke the deadlock with their first corner. Frank Gray curled the ball in Terry Yorath flicked it on and Roy Ellam smashed the ball against the underside of the bar before Hibs cleared. 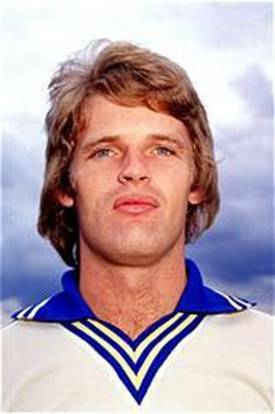 Then it was United’s turn to escape as Trevor Cherry chested an Alex Cropley shot off the line, Tony Higgins got to the rebound but the back-tracking Peter Lorimer saved Leeds with another goal-line clearance. It was an all-action affair and the drama increased as John Shaw was forced to leave the pitch at half-time and was replaced by seventeen-year-old Welsh Youth International Glan Letheran, a Junior with hardly any Reserve team experience and absolutely no senior appearances. 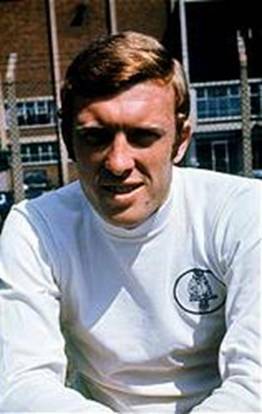 It mattered little as the superb Billy Bremner led his troops to such an effect that Letheran was hardly tested although Bremner did head one Hibs effort off the Leeds goal-line. Allan Clarke missed the chance to settle the issue when he shot wide after Jim Black had mistimed a clearance., but it was Hibernian who finished the stronger and United’s defence all held their breathes as an Alex Cropley shot skimmed Letheran’s bar late in the game. The tie went into extra-time, but two weary sides could not break the deadlock which had stretched to two hundred and ten minutes without a goal and so the issue had to be settled by penalties. 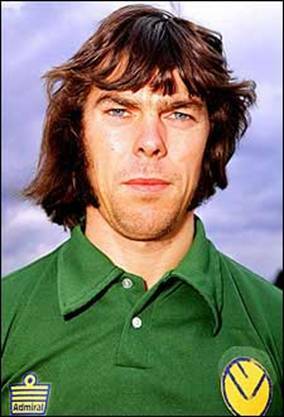 Hibernian took the first one, but Pat Stanton, who had scored an hat-trick the previous weekend, missed it as his shot smacked against a post. 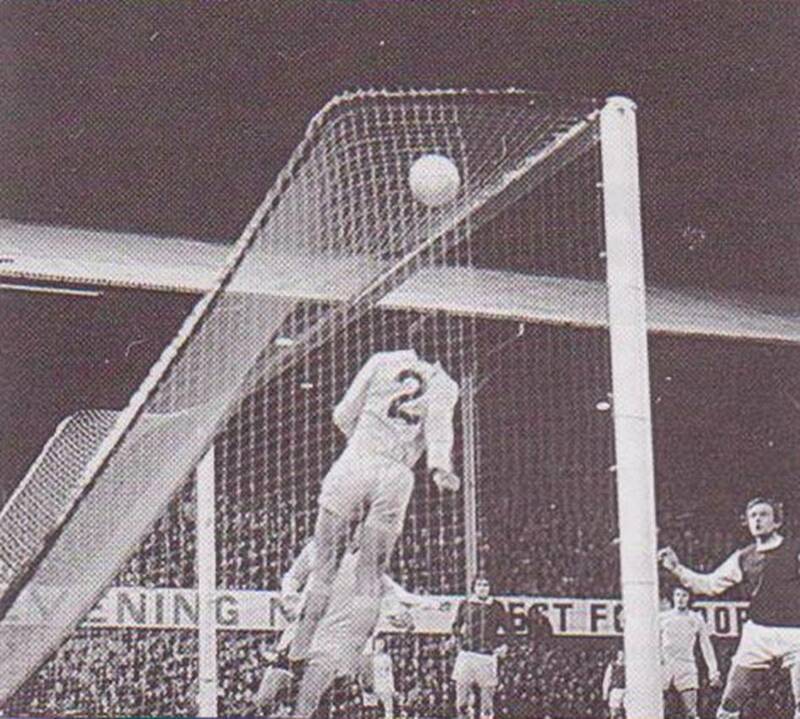 Both sides converted their next four kicks, leaving Billy Bremner to keep his head and lash the final match-winning penalty high into the net and send his team into ecstacy. Neither of the United’s goalkeeping heroes were able to forge a career at Elland Road. John didn’t play for Leeds again but was a great servant to Bristol City, while Glan Letheran made one League appearance for United before being released.